Motorcycle season is almost at an end. This year’s Polish golden autumn is gone, so the rain (and snow) could surprise us at any time. Does every reflective tape sewn onto clothing motorcycle behave the same way? Do you have a reflective element on its jacket or suit we can safely navigate the knowledge that we visible? Most manufacturers of motorcycle clothing sewed so. These are traditional tape used not only in the motorcycle. Each builder is identical to his safety vest. On the tape mikrokulkowej light is reflected by tiny glass balls, placed on the material. Typically, this tape silver is highly resistant to damage. Nevertheless, upon contact with water until it is dry, tape mikrokulkowe lose their reflective properties. Why did we write? Sometimes it happens back in the rain from work or traveling home, and then you will want to remember that. Is there a reflective solution to the rainy season? Of course – we recommend the so-called reflective stripe Prismatic. Light reflected a larger surface area by making small acrylic prisms. It has the additional advantage – it does not lose its characteristics in contact with water, because the prisms are additionally covered with foil. The differences between the two types of strips are visible to the naked eye. Remember that, when making purchases. We live in Poland, a country where the weather is changing as quickly as the coaches in football clubs. Rain can surprise us in any situation. 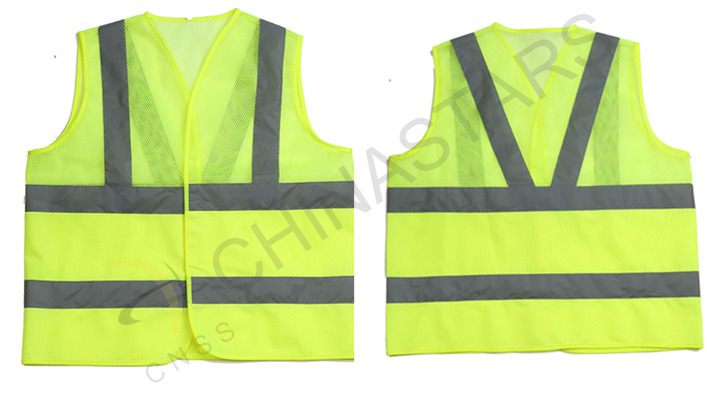 If you want to improve your safety when buying clothing with reflective elements, chose one that will increase our visibility in all conditions.